Learn about the candidates using this interactive ballot for Ogdensburg, New York. Graphic by Bronwyn Beairsto. As voters in this corner of upstate New York head to the polls in one of the most bitter and contentious presidential elections in history, many are focused on races further down the ticket. Behind the scenes, local Republican leaders concede that the presidency may well go to Democrat Hillary Clinton and they are devoting more attention to other contests. In the complex U.S. electoral system, voters in towns like Ogdensburg, Canton and Potsdam will also be casting votes on Tuesday for the Senate, their local congressional district, the New York State Assembly and various local positions, such as county treasurer. At the national level, the Senate race is crucial and control of the chamber is potentially up for grabs. The Senate is currently Republican controlled, with a 54-45 Republican-Democratic seat advantage and one Independent Senator. However, the Republicans have more seats up for grabs this time, which could flip the chamber if the Democrats gain four or five seats nationally. Democratic incumbent Chuck Schumer is in his fourth race for a seat in the U.S. Senate. Photo provided. New York’s Democratic incumbent is Chuck Schumer, a lawyer from Brooklyn. He is a third term U.S. Senator, having been first elected in 1998. 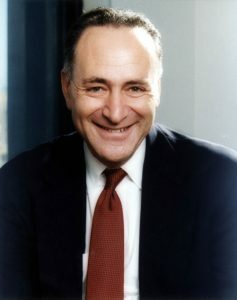 Prior to his upper-chamber work, Schumer served for years in the New York State Assembly and U.S. House of Representatives. If re-elected, he will be a Senate heavyweight for the Democratic Party – it is suggested Schumer may become Senate majority leader. Most observers see Schumer as a favourite to win. Schumer’s main challenger is Republican Wendy Long who is also on the ballot as the Conservative and Reform candidate. Long is an attorney and second-time Senate candidate. State-wide, St. Lawrence County has three state senate elections in the 45th, 47th, and 48th Districts. Notably, incumbent Republican Senator Elizabeth Little of the 45th is facing Green Party member Steve Ruzbacki. With the keys to the White House likely staying in the hands of the Democrats, the Republicans are looking to maintain their grip on the House of Representatives. 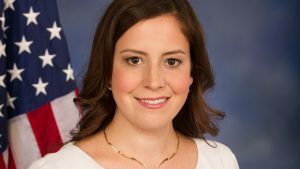 Republican Congresswoman Elise Stefanik is expected to stave off challenges by Democrat Mike Derrick and the Green Party’s Matt Funiciello. Congresswoman Elise Stefanik is the Republican candidate in the race for the 21st Congressional District. Photo provided. Stefanik is a first-term incumbent from Albany, NY, and works at her family’s plywood business. During the 2012 election, Stefanik worked alongside House Speaker Paul Ryan as he ran for Vice-President. In 2014, she was the youngest Congresswoman ever elected in U.S history. In this election, she is running on the Republican as well as the Conservative, Independence, and Reform tickets. Derrick, a retired U.S. Army colonel, is running for Congress for the first time. Originally from Peru, N.Y., Derrick served in the army for nearly three decades before retiring in 2013. He is running on both the Democratic and Working Families Party tickets. Funiciello is a small-business owner from Glens Falls, N.Y. He is running for Congress for the second time. Funiciello ran a “grassroots” campaign for a Congress in 2014, rejecting the current campaign financing system. Chas Ryan, a Democratic organizer in Potsdam, N.Y, acknowledged that Stefanik is the frontrunner but he is hopeful higher turnout could favour Derrick. Ryan said as many as 10 per cent of voters are still undecided and said organizers have seen a rise in the polls for Derrick in recent weeks. Republican candidate John Byrne is running for the 116th Assembly District. Photo provided. Republican candidate John Byrne is facing his former opponent, Democrat Assemblywoman Addie Russell, once again in the “River District.” Two years ago, Byrne had a lead in the polls on Election Day before losing to Russell by less than 100 votes once absentee ballots were counted. Byrne suggested that his votes had been split with Conservative candidate Russ J. Finley, as Finley received 1500 votes approximately. This time, Byrne has gained endorsements from other parties and is on the ticket as the Conservative, Independence, and Reform candidate. He is also running on the Working Families Party Ticket. Byrne is a businessman from Cape Vincent, N.Y. 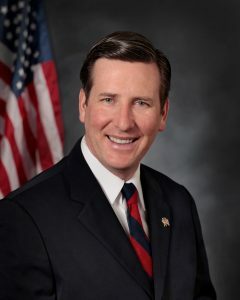 The incumbent Russell is a lawyer who lives in Theresa, N.Y, and currently represents the 116th District. She previously represented the 118th District, after first being elected in 2008. After Treasurer Kevin Felt resigned in January, Democrat Deputy Treasurer Renee Cole took his place. Cole is now running for the office against Republican Derek Van House and Independence Party member Robert Santamoor. The treasurer supports the Board of Legislators in the county. In recent years, the office has been marred by accusations that it lacks transparency. Additionally, the county has had trouble with decreasing tax revenues and increasing costs. Renee Cole is the Democratic candidate in the race for the St. Lawrence County Treasurer. Photo provided. Cole is an accountant and the current manager of the Treasury office. 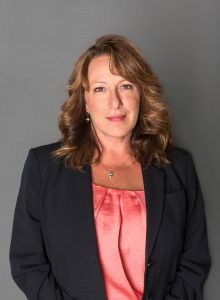 She has experience in the financial management of municipal governments in the county and is running for the Democratic and Women’s Equality offices. If Cole is elected, she will be the first female treasurer in the county’s history. Santamoor is a former Deputy Treasurer who was previously aligned with the Republican Party. He was terminated by former-Treasurer Felt for what Santamoor describes as “philosophical differences” between the two. Santamoor was the first candidate to announce he was running for treasurer in the spring – he works as an accountant. Van House is an accountant from Ogdensburg who has acted as a financial consultant to the county governments for years. In contrast to Cole and Santamoor, he has not been employed by the St. Lawrence County Treasury Office. The St. Lawrence County polls are open from 6 a.m to 9 p.m on election day.